has given me insight into what it takes to get an instrument to perform optimally. that are fresh from the factory, among others. and more recent issues, to make the instrument play as it should. Presently I have set up shop in my home, and am semi-retired. who would like an opinion on their flute, clarinet, sax, or other woodwind instrument. Please make an appointment for a consulation at my Cleveland Hts. home shop. 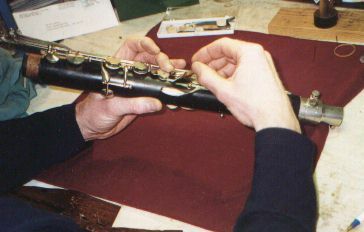 Woodwind Tech provides professional care to your woodwind musical instrument. 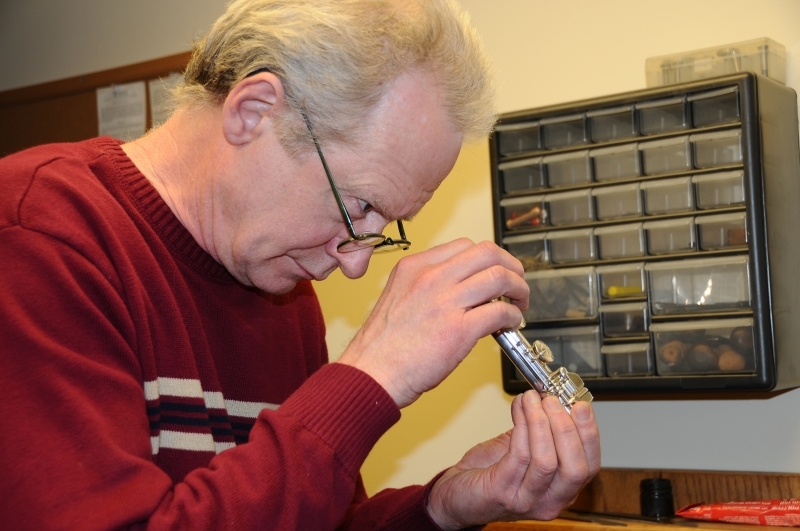 Whether it be a repad, overhaul, or regular maintenance, Dave Henry of Woodwind Tech gives each instrument personal attention. A quality repad will restore your instrument to a playing condition, possibly even better than when it was purchased new. 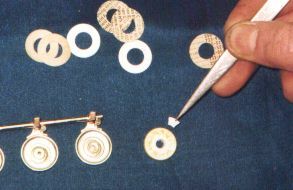 Dave has been repairing and learning new techniques on musical instruments for 35 years. Since I play flute and other woodwinds, I can tell if an instrument is not playing to its full potential. And I also know what to do to get it right. Please make an appointment for estimate or service. Serving the Cleveland Ohio area. If shipping, email me for the address. Here are descriptions of the flute and clarinet repad / overhaul. See below for saxophone repair information. Looking for a professional woodwind instrument? Try Royalton Music . A geat selection to choose from.